“A frank, poignant memoir about an unlikely marriage, a tragic death in Iraq, and the soul-testing work of picking up the pieces” (People) in the tradition of such powerful bestsellers as Joan Didion’s The Year of Magical Thinking and Carole Radziwill’s What Remains. In this memoir Artis recounts not only the unlikely love story she shared with Miles and her unfathomable recovery in the wake of his death—from the dark hours following the military notification to the first fumbling attempts at new love—but also reveals how Miles’s death mirrored her own father’s, in a plane crash that Artis survived when she was five years old and that left her own mother a young widow. 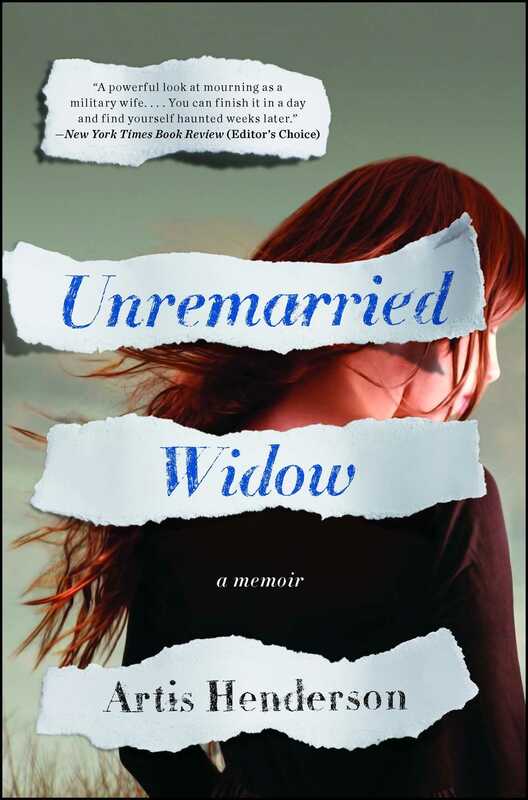 Unremarried Widow is “a powerful look at mourning as a military wife….You can finish it in a day and find yourself haunted weeks later” (The New York Times Book Review). This reading group guide for Unremarried Widow includes an introduction, discussion questions, ideas for enhancing your book club, and a Q&A with author Artis Henderson. The suggested questions are intended to help your reading group find new and interesting angles and topics for your discussion. We hope that these ideas will enrich your conversation and increase your enjoyment of the book. A world traveler, Artis Henderson dreamed of living abroad after college and one day becoming a writer. Marrying a conservative Texan soldier and being an Army wife was never in her plan. Nor was the devastating helicopter crash that took his life soon after their marriage. Unremarried Widow is a memoir about the unlikely ways love brings people together and the struggle to carry on after losing the love of your life. 1. Early in the book, we learn that Artis’s father was a pilot, just like Miles, and that he too was killed in a crash. The first time Artis’s mother meets Miles, she tells Artis he is just like her father. How do you see Artis’s family history affecting the decisions she makes? How do you think that knowledge and those memories influenced how she felt about getting involved with a pilot? 2. “What if you love someone with all your heart but you’re afraid that being with him means giving up the life you imagined for yourself?” (p. 88) Artis asks when she’s trying to figure out how to make a life with Miles. Later, when she pitches a relationship column to Florida Weekly, she admits she’s interested in “how to negotiate the terrain between what we want from life and what we want from a partner” (p. 220). How do you see this central question play out throughout the book? How do the other people in the story, especially those connected to the army, struggle with or resolve this tension? 3. Miles grew up in Texas, which is portrayed in the book as dry, dusty, and hot. Instead of staying in Texas while Miles deploys, Artis goes to Florida, her home, which feels lush and verdant. How does the author use the distinctive settings to cast light on how place affects the story? What other settings in the book does she describe, and how does that affect what happens there? 4. While Miles is stationed in Iraq, he tells Artis a story about going running one day. On the way back, he sees another solider ahead of him and decides to race him to camp. It is only once they’re back to camp safely that he realizes a sandstorm had blown up behind him; he has just outrun a sandstorm. Do you see this image as a metaphor for anything else in the book? 5. Artis never imagined marrying into the military, and she tries to separate herself from military life, never really fitting in with the other army wives or with Miles’s co-workers at the Officer’s Club. After Miles deploys, she moves to Florida and even talks about buying a house there to be their permanent home, removed from whatever base Miles will be sent to next. How else do you see Artis’s longing for distance play out in the story? What do you make of the fact that Artis eventually finds community and healing at the TAPS National Military Survivor Seminar? 6. Artis says that often women just know when something bad has happened to their husband (p. 127). Have you ever experienced a similar feeling of certainty about something happening far away? What do you think might be behind it? 7. Teresa Priestner is not satisfied with the information she is given about the helicopter crash that killed her husband and Miles, and she spends the rest of the book trying to prove that John deserves a Purple Heart. Artis, on the other hand, believes that their husbands are gone, and it doesn’t matter exactly how it happened (p. 169). What do these different attitudes reveal about how each woman deals with her grief? How do you think the differences in their lives might have influenced how they processed their husbands’ deaths? 8. Think about the different types of dreams that occur in the book—Miles’s startlingly prescient dream about the crash that opens the book (p. 10); the dream about the house Artis and Miles hoped to buy in Texas (p. 94); the dream in which Miles tells her that death itself is like a dream (p. 189). Do you think Artis believes it? How are these dreams different from one another, and how do they tie elements of the story together? 9. After Miles’s death, Artis admits that she feels angry at many people, but especially at her mother, “whose fate, despite my best efforts, I now shared.” (p. 132) Her relationship with Miles’s mother starts out rocky, but after his death, they are drawn together by their shared grief. What do these different responses reveal something about each of these women? How do you see Artis struggling to navigate the complicated territory of familial relationships? 10. In the beginning of the story, Artis consults a psychic, who gives her specific predictions Artis simply can’t imagine coming true (which, of course, do). Later in the story, she sees the psychic again, and is given more unbelievable predictions, at least one of which—seeing her name in print—has obviously come true. Do you believe in psychics? What do you make of the fact that her predictions were correct? Is there anything the psychic got wrong? Do you believe these predictions can be in any way self-fulfilling? Why or why not? What does the act of consulting a psychic reveal about Artis’s deep desires? 11. “Losing a spouse is in no way like losing a child, but all loss is in some way like losing ourselves.” Discuss this line. What losses have you experienced in your life? Do you agree that loss is like losing yourself? How do you find your way back? 12. There are several ways in which Artis reaches out for—or is reached out to by—the other side: She has dreams where Miles talks to her after he’s gone; she visits a psychic who gives her a message from Miles; she experiences strange phenomena, such as knocking in her house and the microwave turning on in the night, which she thinks might indicate a ghost. “I shook my head, disbelieving,” she writes. “But also believing a little.” (p. 186) What do you make of this? How do you see the barrier between this life and the next? Have you ever experienced similar comfort from beyond? How do you think the author’s belief allows her to experience or recognize it? 13. This story is written about events that happened in the not-too-distant past, and many of the events and trends that she mentions—the Florida real estate bubble that would never burst; the stock market crash of 2007—are written from the perspective of someone who knows how things turns out. How do you think knowing what happens to Miles affects how the author portrays the early stages of their relationship? Are there other elements of the story where you see this? 14. “If you took all the sorrows of the all the people in the world and hung them from a tree like fruit and then you let people choose which one they wanted, we would still pick our own” (p. 241). Do you believe this is true? Why or why not? 1. Artis visits Arlington National Cemetery with Teresa Priestner, who buries John there. Both women go to remember the lives of the brave men they loved. With your book club, take a visit to a local cemetery and stroll along the pathways. Think about all the men and women buried there, and try to imagine what their lives might have been like. What can you learn about a stranger’s life by what is on their gravestone? Once you leave the cemetery, talk about what the experience was like. 2. There are thousands of wounded soldiers recuperating at hospitals all over the country. Many of them are far from their families and in need of encouragement. If there is a military hospital near you (you can check at http://www.tricare.mil/MTF), call and ask about volunteering opportunities. Try to find a time your book club can go together and help bring some cheer to our nation’s heroes. 3. The Wounded Warrior Project is an organization that supports injured soldiers in a variety of ways. You can check out their work at http://www.woundedwarriorproject.org. Consider how your book club can help raise money for this worthy cause. Could you host a bake sale, or gather sponsors and walk or run a 5k together? 4. Unremarried Widow is a memoir about grief, but it’s also a story about hope. Artis always wanted to be a writer, and the last section of the book talks about how she made that happen. Imagine what you would do if you could follow your wildest dreams. What is the first step toward making that dream happen? Take that step now, and share with your group what it felt like to do so. 1. How did you decide to write a memoir? I believe we are given the stories we must tell. Even fiction writers are not so much making things up as mining their deepest selves, finding what it is they need to say. I tried briefly to write parts of this narrative as fiction, but it felt wrong. The only way to tell it, I realized, was to lay it bare, all of it, in its searing and difficult truths. 2. This is a very personal memoir about a very difficult subject. What was it like to write? Did you find it helpful in processing what happened? The book was very demanding. Working on it, I felt as if I had stepped off the lip of a pond and sunk to the bottom. Life—real life—happened on the surface, but I was lost in the murk. I spent every day working at the library on painful scenes, and when I came home I would be emotionally wrecked. This went on for two years. But when it was done, I felt like an enormous weight had been lifted. I could finally say Miles's name without my voice cracking. As I was beginning the book, a friend had said to me, “The only way out is back through.” He was right. 3. When you met the other young widows at the TAPS National Military Survivor Seminar, you talked about the terrible knowledge you all carry inside you and how you felt a responsibility to tell your stories. Do you see this book as being about more than your experiences? In what way is this, or is this not, a story about them as well? In my early conception of this book, I imagined it would be a collection of stories from war widows. I interviewed several women and tried to write their narratives, but I quickly realized that the only story I could tell—really tell—was my own. I often thought of the Tomb of the Unknown Soldier, a single grave that stands for every soldier killed in combat. I hoped that in sharing my story I might illuminate the many stories that resulted from these wars. 4. When Miles deployed, you chose to move home to Florida and separate yourself from military life as much as possible. You go on to say it never occurred to you that the other army wives on base might be a source of support and comfort. How do you think your experience might have been different if you had stayed? In the days after Miles's death, one of the wives in the unit mailed me a gift card to a restaurant. In her note she said that if I had been at Bragg she would have brought me food, but with the distance between us the gift card was the closest she could come. I was incredibly touched by her note, this was a woman I barely knew, and I realized in that moment that the other wives would have understood what I was feeling in a way people in the civilian world could not. 5. In your Modern Love piece, you talked about how Miles’s death drew you closer to his mother, with whom you initially felt some tension. How has that relationship evolved since then? Do you still see his family? I'm still in contact with Miles's family, and I still care for them deeply. When I visit their ranch in Texas, I feel Miles there in a way I don't feel him anywhere else. He is very present on their land. I will always share a bond with the Hendersons and I am forever grateful to them for their kindness and generosity, both before Miles's death and after. 6. You mention a widows’ support group that helped you as you grieved Miles. Do you still keep in touch with these women? In what ways have they been able to move forward? Are there ways they will never be able to move on? I still keep in touch with those women. I recently saw them after several years, and it was a festive reunion. We all wore this look of relief, as if we had survived the same storm. I picture the time we spent in the grief group together as a journey on a life boat, a journey we never thought we'd survive. One of the women said to me after the reunion, “I always said to myself that if I could make it to six years, then I would be OK.” We were six years out and she was OK—remarried to a good man, living in a place she loved. But even as she told me this she was crying and I cried, too, because after six years it still hurt. 7. In the book, you wrestle with the question of how much our own desires matter and how much to give them up for love. Have you come any closer to answering the question? How have your personal experiences shaped your thoughts? Did the stories you worked on in your relationship column at Florida Weekly affect your thinking in any way? This is something I wrestle with every day, both in my mind and on the page. One thing I know for sure: sacrificing our own desires for someone else never works. Never. Peace comes from a delicate balance of personal goals and romantic compromises, but where that line lies I'm still not sure. 8. In this story, you consult a psychic a few times, and on one occasion she tells you that you will see your name in print. How does it feel to hold a copy of your book in your hands? Do you think her words helped you go after your dream? Holding this book feels like magic. I cried at every step in the process, I was so overwhelmed by the wonder of it. 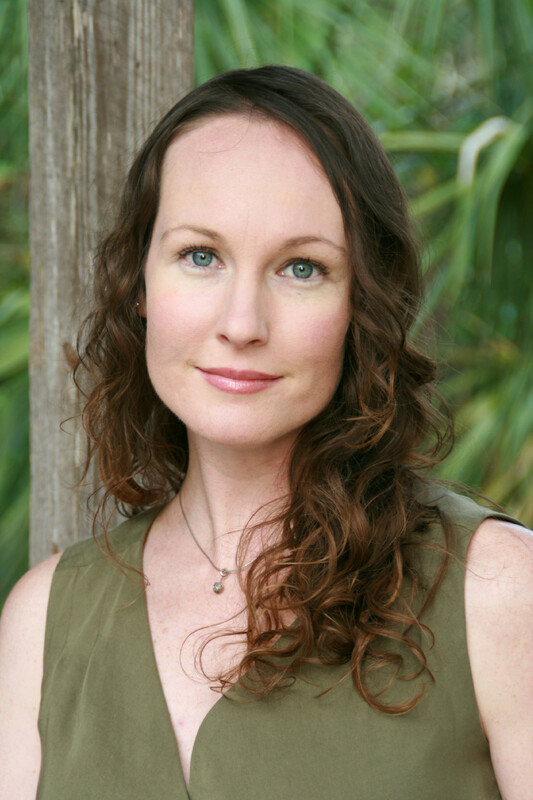 The psychic confirmed that writing was possible for me in a way I had never before believed. If I was fearless enough, she seemed to say, if I was tenacious enough, then it would happen. And here it is, a long-held dream come true. 9. The same psychic tells you that you will have a daughter and a son, and that you will remarry. And toward the end of the book, you hint that love might be on the horizon. Do you see this part of the psychic’s vision coming true any time soon? Yes, absolutely. In the first days after Miles died, I felt like I had this great surplus of love, a golden light that I carried around with me, that I had nowhere to direct now that he was gone. That light is still there, tucked away, but just as bright as it had been. I can't imagine going through the rest of my life without sharing it. 10. At the end of the book, you moved to New York to attend journalism school. You’ve since graduated and written for all kinds of publications. Do you have any other projects in the works? When the writing of this book came to a close, I experienced a deep sadness. The book had been a way of keeping Miles present, and when it ended I felt as if I was letting go both of the story and him. But then I had lunch with a friend and he said to me, “Now it's time for you to find a new dream.” That's what I'm working on now—my new dreams. I'd love to restore an old farmhouse in France, visit outlying Caribbean islands by sailboat, and hike the mountains of north Georgia. I'd also love to write another book. 11. You’d always wanted to travel. Since this story occurred, you’ve spent time in France and Africa, and now live in New York City. How have these experiences enriched your life? Do you have any plans to travel more? When I'm figuring out the answer to a dilemma—usually some version of What now?—I try to take the long approach. I imagine myself as an old woman (always in a rocking chair, always on my porch) and I think about the stories I will tell of my life. My goal is to collect a rich assortment of adventures for that old woman, and for me the richest tales come while traveling. I have a trip to Ireland in the works, I'm always coming and going from France, and I've recently drummed up a new obsession—travel by freighter boat. Talk about an adventure.